Probably one of the most accessible Asian cuisines, other than Japanese and Chinese, is Vietnamese. Think of it, you can practically stop anywhere along Kingsway and find some Pho. Even in the burbs, you can probably find one, in particular Surrey. However, North Delta has not been blessed with a wealth of such eats. In fact, for the longest time, there has only been one choice - Stanley Restaurant. 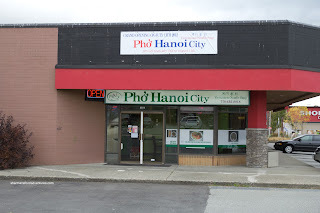 And due to the lack of competition, the fact that their Pho is pretty average, it becomes the default Vietnamese Restaurant. Not anymore. 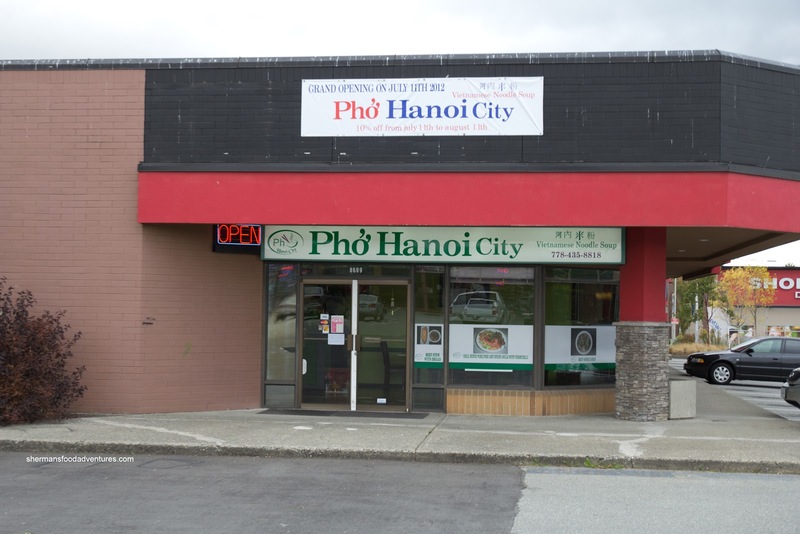 Taking over the space once occupied by Crystal Elephant Range, Hanoi City tries to bring some form of competition for Pho supremacy in North Delta. My plan of attack for the place was to do at least 3 visits so I could get a good sense of the menu. 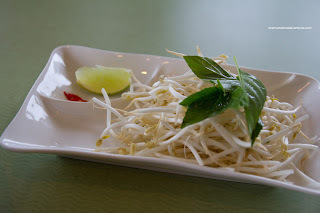 Of course, the first thing I tried was the Pho Dac Biet. This must've been one of the more flavourful pho broths I've had as of late. However, it was quite obvious from one sip that there was some MSG action going on. Despite this, there was a good balance of sweet and savoury. The portion size was pretty moderate with al dente noodles and tender meat. 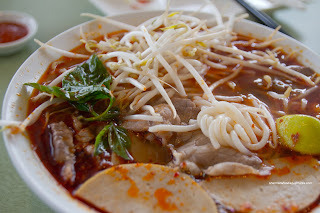 On my second visit, I went for my second favourite item - Bun Bo Hue. When they asked if I wanted it spicy, they weren't kidding. Although it wasn't blow-my-mind hot, it definitely had a kick. 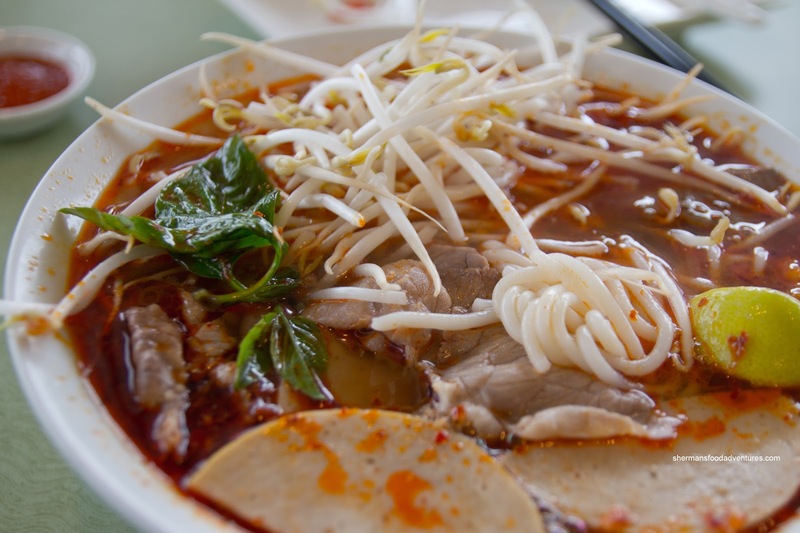 There was a huge slick of chili oil on top of a flavourful broth, however, the broth itself was mostly one-note. No lemongrass hit, nor any other distinguishing flavours. The noodles had a nice texture while the meats were sliced thin and tender. I was a bit dismayed to not find a pork knuckle nor pork blood. 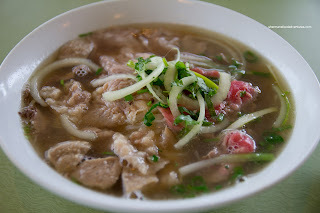 Not the most authentic Bun Bo Hue, yet at the very least, it was not weak. My third visit didn't involve anything soupy, as I went for 2 more typical including the Grilled Chicken with Rice, which was a modest portion. This version was sans lemongrass. And if there was, I didn't get any hint of it. But that didn't mean the chicken wasn't flavourful. In fact, it was very tasty as a result of being marinated for a significant amount of time. Due to the brine effect, the chicken was tender while still exhibiting a good amount of grilled texture. There was one side that was a bit dry, but the rest was okay. 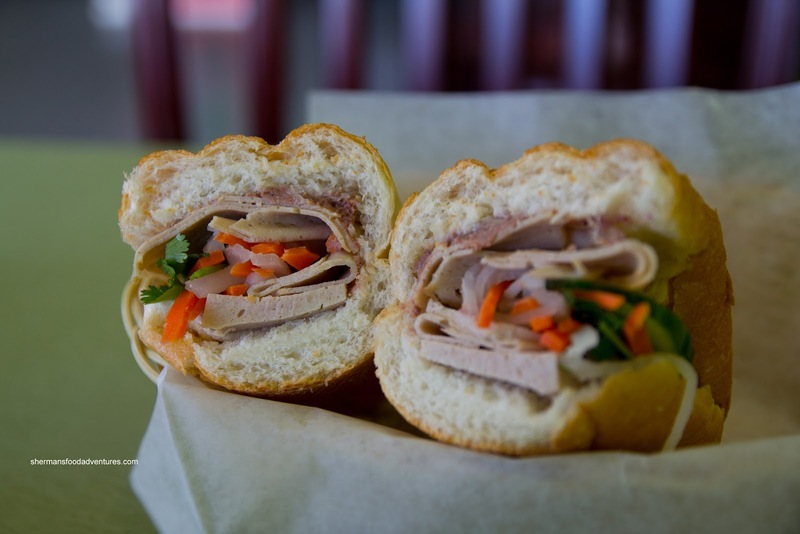 For my second item, I had a Banh Mi Dac Biet which was pretty good, considering where the restaurant is located. The baguette was toasted until it was crunchy while still somewhat airy on the inside. There was enough pate to make an impact while the amount of meat was adequate. The pickled daikon and carrots could've been more flavourful, but they did provide a good crunch. 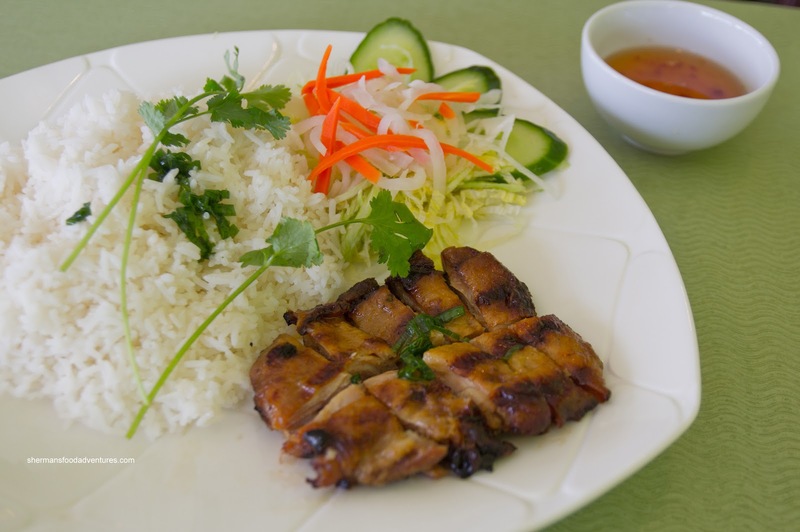 For all the things I've tried on my 3 visits, I can confidently say that Hanoi City has dethroned Stanley as the best Vietnamese restaurant in North Delta. Now that may not mean a lot in that sense, but compared to the rest of the GVRD, it does a decent job. FYI, I drove past this place the other day and there is a big new sign that says "Pho Golden Restaurant"
@mbsunshine Yup, saw that too and yes, a visit is coming up!